Well, that lousy idea lasted as long as platter of free tacos during happy hour. "We are changing the name," says Corktown restaurateur Matthew Buskard, who planned to call his second Corktown business Hoffa's Hideout / A Place to Disappear. Buskard, who hopes to open by mid-November in the former Casey's Pub space at 1830 Michigan Ave., on Thursday took down a Facebook page for Hoffa's Hideout. He and business partner Johnny Irwin, who grew up in Southwest Detroit, are rush-brainstorming to come up with a new name, logo and other branding materials, Buskard tells Deadline during a 14-minute call that he requested. The abrupt about-face comes a day after he spilled the name to Eater Detroit editor Brenna Houck, and hours after a Thursday morning callback from a public relations representative for James P. Hoffa, general president of the International Brotherhood of Teamsters and son of the bar's intended namesake, Jimmy Hoffa. The younger Hoffa "isn't comfortable with the name," Buskard says the spokesman told him, adding: "We don't want you moving forward with that." The main reason, according to Buskard, is "because his father didn't drink, so he feels it 's inappropriate to have his name on a bar." 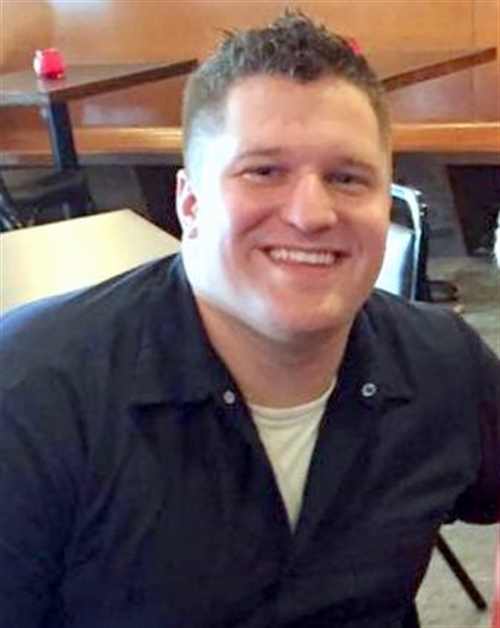 Hoffa's office was contacted Monday "because we wanted to act respectfully and get permission to use the name," says the 31-year-old entrepreneur. "It got out before it should have." When challenged, Buskard acknowledges that "it got out" because he told a journalist on the record. He also notes that "the name has been controversial" in conversations about the idea. "Some people hated it or thought it was kitchy. Some liked it," he says. The restaurateur, who moved to Detroit from his native Grand Rapids in 2014 (his second move here), opened Bobcat Bonnie's ("Corktown's neighborhood gastropub") in August 2015 on the same block as his new venture. The intent behind Hoffa's Hideout, he offers without being asked, was to use "something that represents was Casey's was." "We wanted to show it's still an everyday kind of bar and keep a neighborhoody feel," adds the fast-talking businessman. "We weren't trying to be tongue-in-cheek. When you think of Corktown, you think of blue collar, of Teamsters." At the same time, he concedes (unprompted again): "The tagline about A Place to Disappear definitely was disrespectful -- I get that. . . . I should have done a little more due diligence." "A pretty tacky name" is how one critic on Facebook reacts to news of a Southwest Detroit restaurant called Hoffa's Hideout. Corktown sports bar icon Casey’s Pub shut its doors just over a week ago on Michigan Avenue, and the new operators haven’t lost any time developing its taco-slinging replacement. 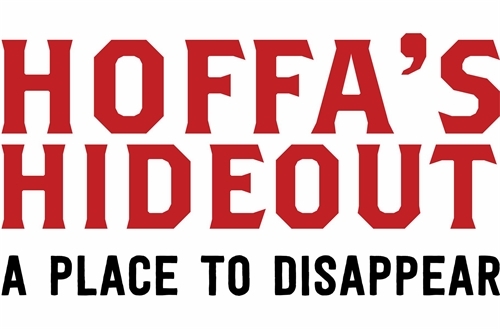 Owner Matthew Buskard (also of neighboring Bobcat Bonnie’s) tells Eater his team has settled on the name — Hoffa’s Hideout — a nod to Detroit’s blue collar roots and the mysterious disappearance of labor leader Jimmy Hoffa. That July 1975 apparent murder remains unsolved and is a focus of lore, myth, fascination and occasional FBI searches for a skeleton. Branding a Corktown dining destination as the lair of a federally investigated Teamsters leader and joking that it's "A Place to Disappear" are brash moves that test sensitivity. "He's out there" is Matthew Buskard's caption at his bar's Facebook page under this May 1959 magazine cover. The Michigan Conference of Teamsters headquarters and the office of Local 247 are nearby on Trumbull Street, just a half-mile from the upcoming restaurant at 1830 Michigan Ave. The international union has been led since 1999 by James P. Hoffa, namesake and son of the legendary figure. The name of this self-described "dive bar/sports bar" could charitably be seen as a salute to a well-known local family, though it seems more like pandering in poor taste. 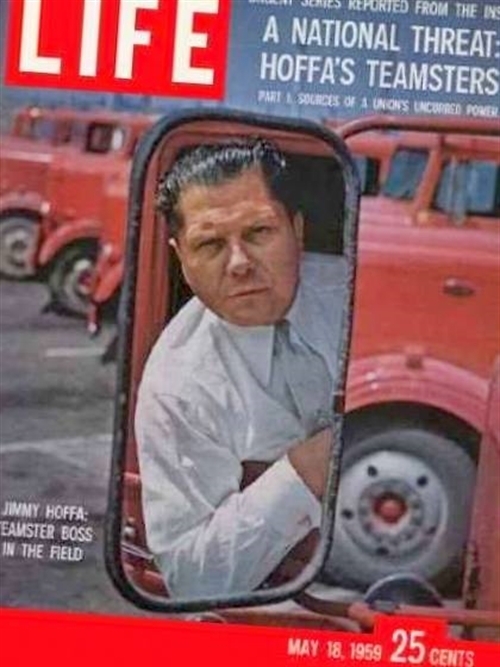 The younger Hoffa -- serving his fourth five-year terms as a general president -- has worked to shake off old images of racketeering investigations, federal supervision of union elections and other shadiness. So despite the 10-block proximity, officials and members may not embrace the attempts at humor or edginess by scarfing down tacos and tossing back drinks at a spot called Hoffa's Hideout. In any event, the new owner bets that the iconic name will make his casual spot a draw for the gentrifying neighborhood's newcomers, as well as other Detroiters, suburbanites and tourists visiting Michigan Avenue's dining and entertainment strip. It's easy to imagine it as a novelty stop on circuits of pure Detroitness for out-of-towners, who'll pose in front of the sign for Instagarm proof they were at Hoffa's Hideaway. Quips already are lobbed on social media. Carlos Manuel of Corktown links to Eater's post at his Facbeook page and jokes that the same owner next will open "a new soul food restaurant named Malice's Greens."